From 10am to 10pm, yesterday, we painted the living room and dining room. Two coats, looking good. My lower back and right index finger are sore and brain is mushy. To celebrate the finished product, I opened a bottle of Oban 14yr that I'd purchased a half year ago. An old fave, the Oban hit the spot (though it's seriously over-colored) and I was asleep after one dram. In the very near future I'll be putting some posts about all of the fix-its that we've done around here. The visuals have changed for the better. 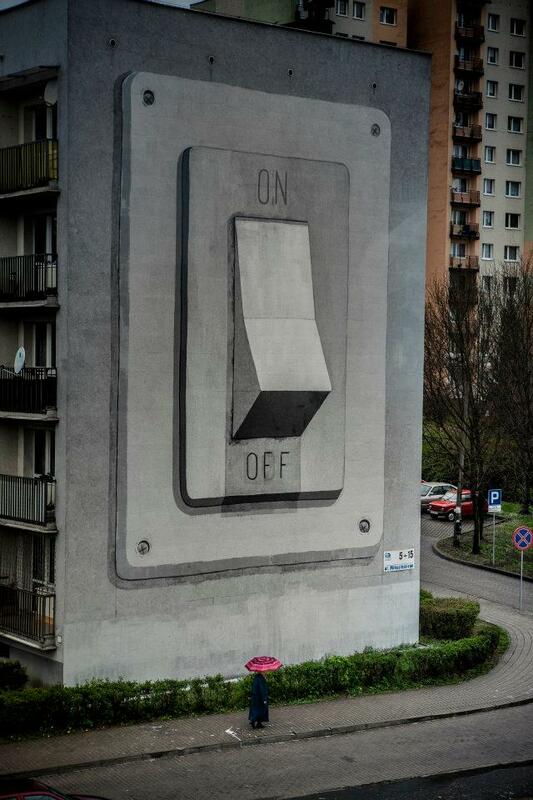 A beautiful piece of street art by Escif in Poland. Kristen and I have been watching tons of NBA Playoff action -- much more interesting than regular season baseball, I'm sad to say. I'm having a difficult time seeing anything but a Heat-versus-Thunder (how about that for team names?) Finals. Those two teams will have to do themselves in; no one else has been putting up consistent offense or defense. And the LA teams? Not inspiring. It would have been nice to have a Staples Center-based Western Conference Championship series, but there are other pipe-dreams that I value more.